Animal Language – This song is just one of those Lou songs that is so god-awful on so many levels that it somehow becomes something wonderful. Especially the ending. Kill Your Sons – Lou spent a lot of time and effort trying to portray his upbringing as far more horrific than apparently it ever was. But his folks did make him submit to electroshock which did fry him a bit. This song is sort of a response to that, I guess, but all wrapped up in Lou's version of things and delivered in a “I don't want to be singing this” vocal styling. It's not a very good song, but then again, this isn't a very good album. 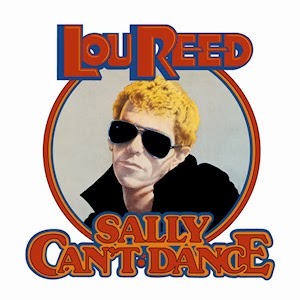 Sally Can't Dance – The title track. I don't know what there is about this song that distinguishes it from the rest of the crap on this album. Maybe it's the horns. Maybe it's the fact that Lou is trying to get groovy – except he doesn't seem to care about being groovy – and yet there is a groove – except there isn't. Whatever... Additional opinion: Lou couldn't dance either.